An early adopter of Performance-Based Standards, Vawdrey Australia designs and delivers a variety of trailing equipment that emphasises optimal productivity and operator safety. According to the National Heavy Vehicle Regulator (NHVR), the Performance-Based Standards (PBS) scheme offers the heavy vehicle industry the potential to achieve higher productivity and safety through innovation and optimised vehicle design. To take the scheme one step further, there are High Productivity Freight Vehicle (HPFV) networks in Victoria, and similar road maps for each state in Australia, that allow authorised heavy vehicles passage along routes that are designed for freight traffic. 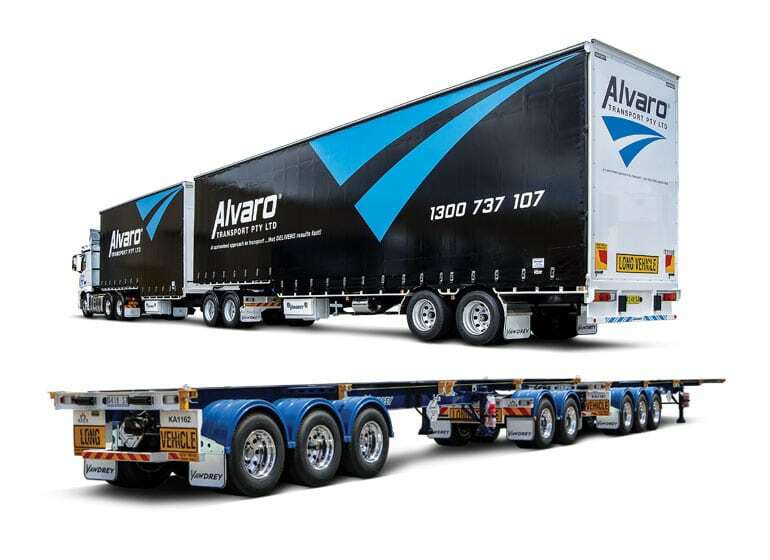 In 2012, Vawdrey Australia began its foray into PBS, introducing its first Super B-double – capable of hauling two 40-foot containers, while operating under strict guidelines determined by VicRoads. At the time, the unit was only permitted to be used around Melbourne’s wharf district. However, it wasn’t until a year later that Vawdrey rolled out additional Super B-double combinations, marking a major milestone in increased access for HPFVs under the new Victorian Freight & Logistics Plan introduced by the Victorian Coalition Government in August of 2013. In May this year, the NHVR and the Australian Road Transport Suppliers Association (ARTSA) released a joint report to celebrate the first decade of PBS. 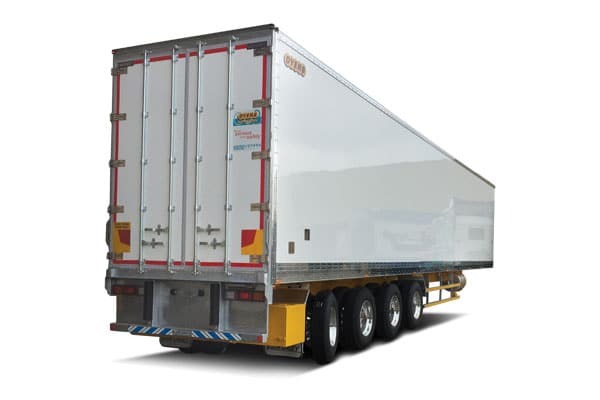 With around 16,000 PBS-approved units on the road, there are approximately 80 companies that are involved in the PBS market, and Vawdrey Australia represents as a leading PBS trailer manufacturer. Embracing the safety and efficiency gains associated with PBS, Vawdrey designs and manufactures a selection of truck bodies and semi-trailers, particularly custom spec’d PBS-approved combinations for container cartage and heavy haulage. The original equipment manufacturer works hard to match its outstanding engineering capabilities with its commitment to delivering exceptional customer service – ensuring fleet operators receive quality road transport gear that is also approved for optimal route access. Vawdrey also prides itself on its serviceability, accommodating for the operational requirements of Australia’s busiest and most successful freight forwarders and logistics providers. ARTSA and the NHVR said that the National Transport Commission (NTC) implemented the current PBS scheme in 2007. Over a decade later, they confirm that the benefits can be fully measured, demonstrating that the scheme is delivering an opportunity to unlock productivity gains and improve safety outcomes. With the road freight task predicted to double from 2006 levels by 2030, PBS will be required to facilitate this growth in the safest, most productive and efficient manner possible – and Vawdrey Australia will continue to serve the specialised manufacturing needs of the industry. Fast Fact: Toll Group Australia and Australian steel company, BlueSope, worked with trailer manufacturer, Vawdrey, to develop a solution that would offer increased efficiency in the company’s bulk steel coil operations, resulting in the purchase of Vawdrey’s 30-metre A-double prairie wagon combinations running under Performance-Based Standards (PBS).